Register for the Grand Canyon Trail Half Marathon today! Additional race information can be found at http://runtucson.net. REGISTRATION OPENS ON MARCH 1, 2019! Join us on Saturday November 2nd for the Grand Canyon Trail Half Marathon in the beautiful Kaibab National Forest, just south of the South Rim of the Grand Canyon. Souvenir race coaster-medallion, beautiful long-sleeve shirt, race goodies, and more to commemorate your iconic journey through the trails near the South Rim. Walk or run a half-marathon, 5k, or the family mile -- then visit the America's greatest attraction, the Grand Canyon. The Half-Marathon has been named the Road Runners Club of America Arizona State Half-Marathon Championship, with awards to top finishers. The 13.1 mile trail loops through the beautiful forest and high desert of the Kaibab National Forest. 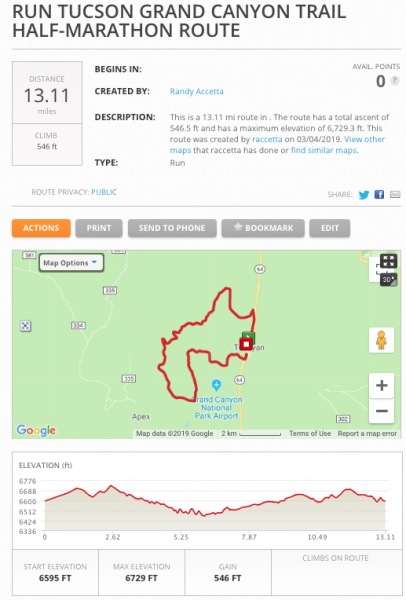 The course does not descend into the Grand Canyon, but all race participants can purchase a National Park Service pass and from the race site easily enter into the Grand Canyon National Park. 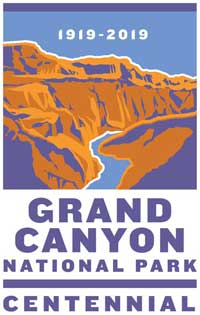 The Grand Canyon Trail Half Marathon is a joint partnership between the Grand Canyon Chamber of Commerce and Run Tucson, the premier local event directing company in Arizona and by Randy Accetta, an RRCA-Certified Race Director. The Grand Canyon Trail Half Marathon is a joint partnership between the Grand Canyon Chamber of Commerce and Run Tucson, the premier local event directing company in Arizona, and by Randy Accetta, an RRCA-Certified Race Director. GO GRAND in 2019! On February 26, 2019, the Grand Canyon celebrates 100 years since it's designation as a national park. A UNESCO World Heritage Site, Grand Canyon welcomes approximately six million domestic and international visitors each year. After 100 years, whether its hiking a corridor trail, taking a stroll on the rim or enjoying the landscape from an overlook, Grand Canyon continues to provide a space for all visitors to connect with the outdoors. This 2019, Grand Canyon National Park will commemorate the past and inspire future generations to experience, connect with, and protect the park's unique natural, cultural, and historic resources.